There’s something warm, enticing and inviting about The Avengers theme music. The immediacy of the opening bars, the instant recognition that transports you to a much more innocent time, one filled with adventure, excitement and an immortal partnership forever fighting the good fight and the war against crime, It washes over you in an instant. 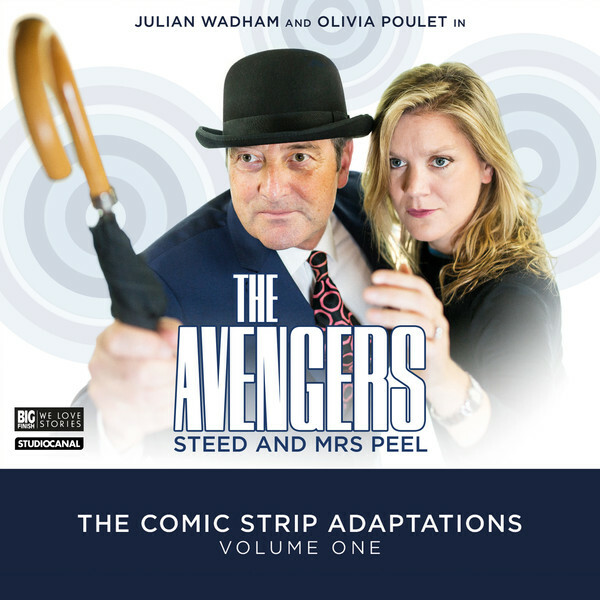 John Steed and Mrs. Emma Peel, the most famous incarnation of the team and the one that the majority of people immediately picture when they think of, and about, The Avengers, are back, having been revived from the eternal stasis of television repeats and DVD collections, in a brace of thrilling new stories. Well, I say new, they’re actually billed as “recreations” of the comic strip tales that ran in the late sixties, and while I’m old, I’m not old enough to remember them as they, like the series, were a decade before my time. This means that they’re “new” to me and I daresay to most of you as well, as I suspect you were introduced to Steed and Mrs Peel in much the same fashion as I was. Through the aformentioned television repeats and the previous generation of fans, otherwise known as our parents, obsession with the show. However we got here and in whatever manner the dynamic duo entered our lives, doesn’t really matter. All that matters is that they’re back. And in true Avengers fashion, they’re back with a bang. Beginning with the gripping, tongue in cheek Return to Castle De’Ath in which they’re sent to foil the assassination of a Middle Eastern Prince in a remote Highland Skiing resort ( a tale which also mercilessly mocks the stereotypical images of the aristocracy, the Scottish, the French and the self-importance of royalty), The Comic Strip Adaptations Volume One gets off to a flying start and maintains it’s fantastic momentum throughout all four stories. Castle De’Ath is swiftly followed by The Miser, in which the entire banking system is held to ransom by an enigmatic extortionist who threatens to unleash wholesale destruction and death unless his demands are met. Making fun of the public school system, the old boys network and the nonsensical, watered down stiff upper lip attitude that permeated the “higher” echelons of society in the fifties and sixties, it’s a slightly surreal, but thoroughly engaging chapter that flows “seamlessly” into the fashion and espionage themed The Golden Dresses. Drowning in fabulous characterisation and dialogue, it’s a humdinger of a story that involves mind control, missing dignitaries, U-Boats, spies and the latest, must have item of clothing. All good things must come to an end, and unfortunately, it all ends far too soon with the wonderfully odd, slightly bizarre and non-more Avengers story, The Norse Code in which a pillaging group of Vikings steal a nuclear weapon in an attempt to seize control of the British government. Insanity, it would seem, really is contagious, because even though it’s properly bonkers, The Norse Code is also a lot of fun, ridiculing everything that it means to be British and the often mystifying human need to identify with, and cling to the past.